Hi! Thank you so much for taking 45 minutes out of your busy day to speak with me about the ins and outs of raw feeding and calming my frazzled nerves! I am so thankful to have found your product because my boy has IBD. He is 1 1/2 yrs. and has been so withdrawn and quiet the whole time we have had him. Little did I know that he was in pain this whole time. It just breaks my heart. Since we have switched Abednego to Feline Instincts he has started talking and playing with his toys, something he has rarely done in the 18 months he has been our boy. 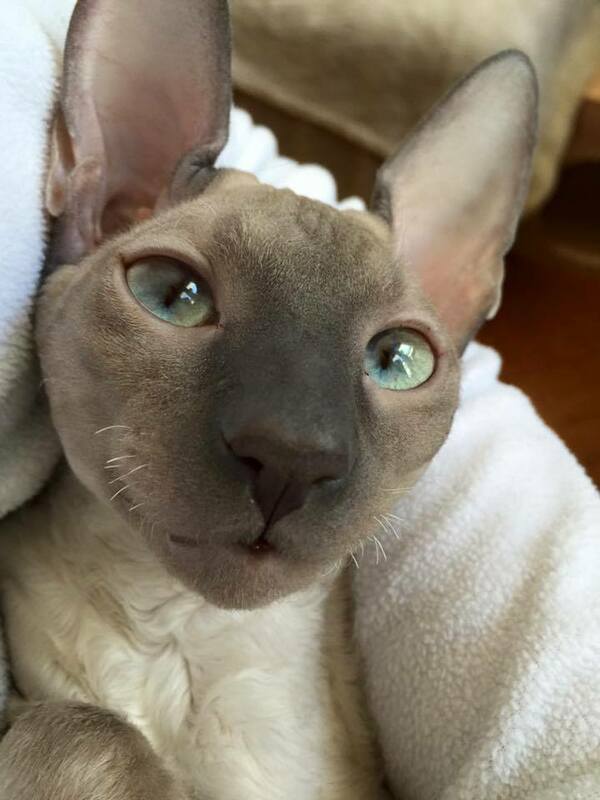 I have attached a picture of my boy Abednego – look how handsome he is with his Cornish Rex rippled fuzz! Please feel free to share this on your website!